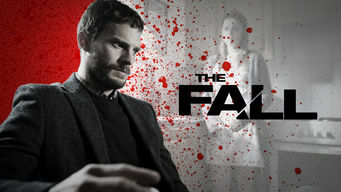 How to watch The Fall: Series 3 (2016) on Netflix Canada! Yes, The Fall: Series 3 is now available on Canadian Netflix. It arrived for online streaming on October 3, 2017. We'll keep checking Netflix Canada for The Fall: Series 3, and this page will be updated with any changes. A detective superintendent battles her own personal demons as she tries to get inside the head of a serial killer hiding behind a family-man facade. Ice queen homicide detective seeks cold-blooded serial killer. To catch him, she'll need to think just like him. Series 1 of The Fall has 8 episodes. Because different Netflix countries have different availability for episodes, you'll need to check the episode listing below to see which are available in Canada. 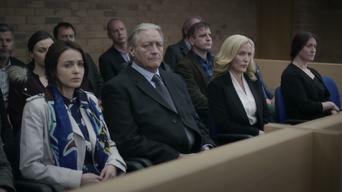 DS Stella Gibson goes to Belfast to review a deadlocked murder case and finds similarities to the killing of another young woman three months prior. 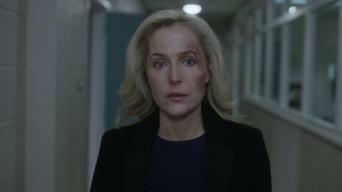 Stella Gibson arrives from London to investigate a murder in Belfast that may be the work of a serial killer. Meanwhile, the killer strikes again. Gibson's worst fears are realized as Spector's murder spree in Belfast continues and a reckless decision has her facing some very real consequences. A team member is assassinated, forcing Gibson to find a new partner and make a confession to Burns. The killer focuses on a new target. The killer's murder spree unravels as he is caught on a surveillance camera, but he provides a plausible alibi and sets about covering his tracks. As Gibson takes control of the hunt for the serial killer striking against women in Belfast, Spector hunts for his next victim. When Eastwood's investigation into Olson's murder throws open some uncomfortable truths for Burns, Gibson comes under increased pressure. 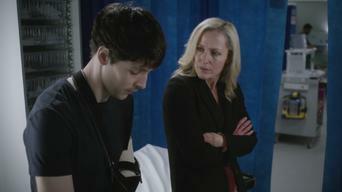 As the net appears to be closing in, Spector makes a dramatic confession and a decision that binds his fate to Gibson. Series 2 of The Fall has 6 episodes. Because different Netflix countries have different availability for episodes, you'll need to check the episode listing below to see which are available in Canada. 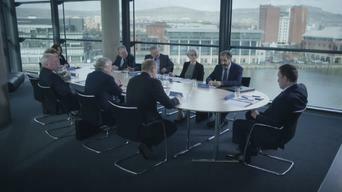 Gibson tries to get Spector's surviving victim to remember him; after telling Gibson she'll never catch him, Spector returns to Belfast. Gibson realizes she has inadvertently put Rose's life in danger, and the police desperately search for Rose as Spector continues to roam free. Gibson orders extensive surveillance on Spector's family, while Spector invades Gibson's private world and relishes taunting and provoking her. Gibson is shocked to discover that Spector has been paying visits to one of his surviving victims in the hospital, and she finally locates him. Spector is under surveillance, but his unpredictability causes problems for Gibson and her team, forcing her to confront the brutality of his crimes. Gibson's investigation leads her to Spector's lair. As they finally come face-to-face, both have a chance to look into the eyes of their nemesis. Series 3 of The Fall has 6 episodes. Because different Netflix countries have different availability for episodes, you'll need to check the episode listing below to see which are available in Canada. Hospital staff work furiously to save a patient. Spector's young daughter sneaks a peek at her mom's laptop. Gibson gives Rose's husband a warning. Sally Ann allows Olivia to see her father in the hospital. Katie lashes out at former friend Daisy. Spector's storage unit is found. Investigating the possibility of more victims, Anderson finds a lead. In court, Spector's lawyer questions whether his client is fit to stand trial. Sally Ann makes her own headlines. Spector talks to Kiera about out-of-body experiences and moves to a psych ward. Rose makes a confession to Gibson. Katie appears in court for violating her bail conditions. Anderson interviews prisoner David Alvarez. Spector opens up to Dr. Larson about his mother. Spector is questioned about Susan Harper's death. A comment unleashes Spector's violent fury. Gibson visits Katie and reveals a shared pain.